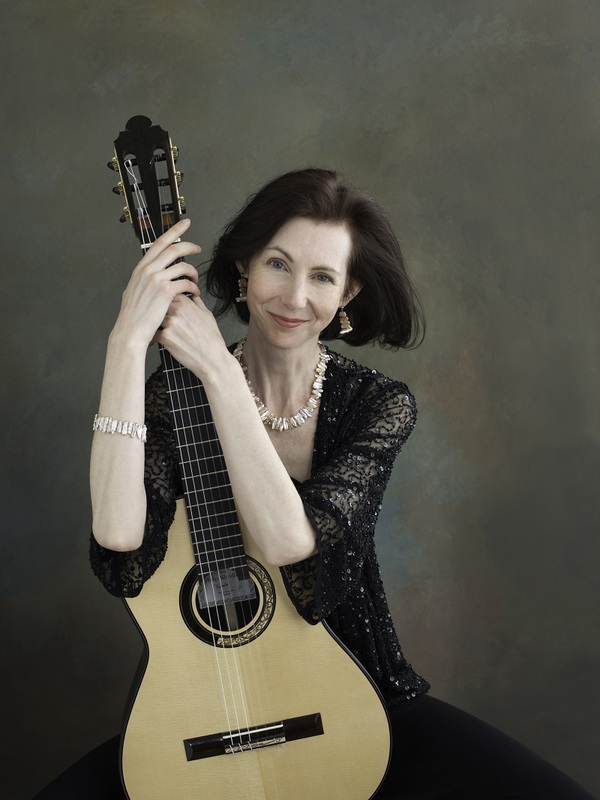 Since that date, Fiona has performed solo recitals throughout the country, performed Rodrigo’s masterpiece, “Concierto d’Aranjuez” in the UK and Spain, been featured on live BBC radio and appeared on television as part of various chamber music groups. Solo and duo performance venues include cruise ships, music societies, London’s Purcell Room and Barbican Centre, various cathedrals and music clubs. In addition to working as a performer, Fiona has frequently been described as an inspiring music teacher. 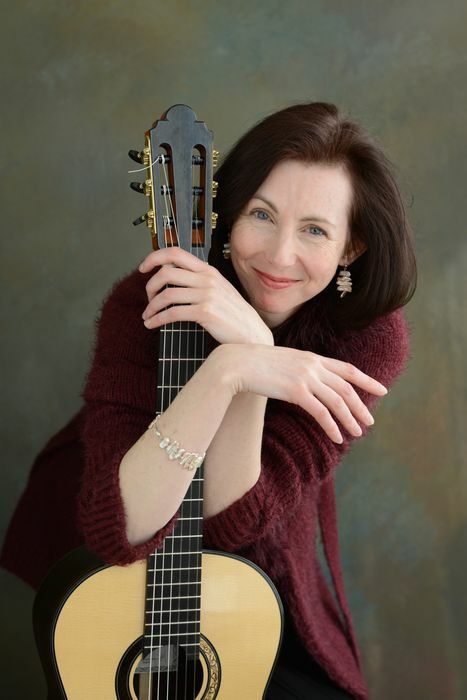 She worked alongside many wonderful, insightful musicians as part of the ABRSM professional development team for many years and has been a featured guest soloist and teacher at various guitar festivals, including the “International Summer School” at West Dean. Fiona also co-hosted many hugely fun and popular residential flute and guitar courses with Julie Wright and Atarah Ben-Tovim, MBE, in Oxfordshire, with others in France, Portugal and Morocco. Alongside performing and teaching, Fiona has adjudicated many music festivals such as Leamington Spa, Croydon, Southampton, Brighton and Hove, she has worked as an external assessor for the Royal College of Music junior department, worked as a teacher assistant at Yale University and provided inset training sessions for the Surrey County Music Service. Fiona Harrison graduated from the Royal College of Music and with a Masters degree from Yale University, USA. The later degree was enabled through a scholarship from Yale and an Award from the Countess of Munster Musical Trust. Her teachers for guitar were Charles Ramirez, Carlos Bonell and Benjamin Verdery, her piano teachers, Vanessa Latarche and Patricia Carroll. Fiona’s latest CD, Organised/Chaos, captures the best of the collaboration with stunning electric guitarist, Stuart Ansell. Her previous solo CD The Legend of Hagoromo features beautiful, contemporary music from Australia, Japan and France.